Some reports have suggested the next iPhone will have a 4.6-inch display. 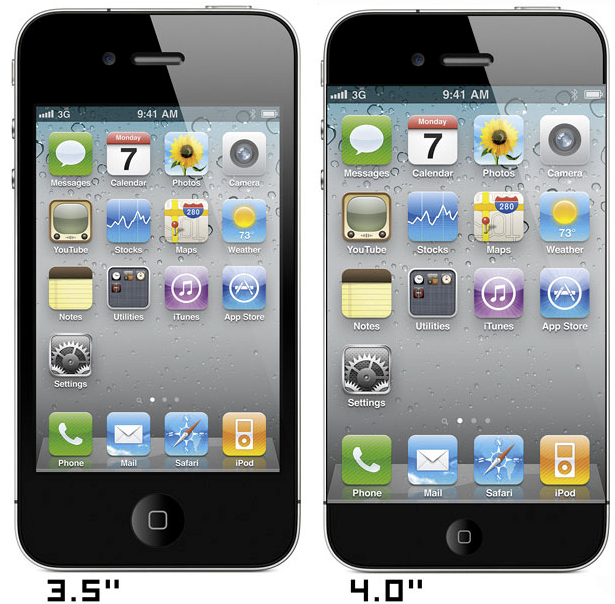 A new report, from iMore, claims the new iPhone will just have the same 3.5-inch screen as all previous iPhone models. They do expect 4G LTE, just like the new iPad. iMore has a good reputation when it comes to rumors. They knew when the new iPad would be launched and that it would support LTE. In addition to the claims above, iMore also says the new iPhone will be introduced/launched in October, at least this Fall. Keep in mind that a new iPhone is usually also a reason for Apple to launch the next generation of iOS. They are probably going to show off iOS 6 during WWDC in June. The question is: will they also show off the next iPhone?